2013 was an incredible year of changes. First, I gave birth to my beautifully clever daughter, Bug. My husband took a new job. Then, in an accident, our car was totaled. Just one month after that, I was laid off from my job where I had worked for 6+ years. It's little wonder to anyone that at the beginning of 2014, I had become just a tiny bit down in the dumps and frustrated at the lack of stability in my life. While it may have been justified to lament a little at my circumstances, I'm not known to just give up. But I did. I totally and completely gave up. And when the first job that seemed promising on any level came along, I took it without much thought. That was a huge mistake. After finally coming to my senses (which was rather quickly), I reverted back to being a stay-at-home mom. But I was done giving up. At least, I was done with how I was giving up. I was giving up again, but I was giving it up to God. And when that really and truly happened, my life exploded in a million happy ways. Jason started working a ton of overtime hours at his job, giving us some much-needed money to maintain our bills (which are few). His tutoring business blew up, giving us some much-needed money to buy what we consider "extras" (like printer ink). Jason was working so much that I gave up the notion of having a job. It would be way too crazy and life was drumming right along in a very happy way. Are you laughing yet? Is it clearly obvious that God had another plan in mind? I received a call in mid-June for a job that I didn't even remember applying for. After going through my files to see if I had really applied for the job, I found that I had. After reading the job details (including pay and location), I still didn't really remember actually applying, but I could see why I applied. One of the owners of the business and I talked on the phone, and he invited me in for an in-person interview. Jason and I continually prayed that God would show us what to do, so already we were purposing to listen and think before jumping into anything. I went to the interview and it went really well. The job described was very similar to work I had been doing before, and honestly, it was like the job and I were a perfect fit. At the end, the owners let me know they were interviewing others but would let me know soon. I went home that day and Jason and I only had a chance to discuss the job minimally. Life must go on, and there were errands to run, a toddler to take care of, a garden to tend, laundry to fold, dinner to be cooked. You know, life was happening. The next day, which was Friday, one of the owners called me, offered me the job and asked me to start on Monday. I said yes, knowing this is where I'm supposed to be. Even while life was going on the previous 24 hours, I had been continually praying, "God, is there what I'm supposed to do?" I felt total peace about accepting the job. The only other time I felt so confident about a job placement was for my previous company where I had worked for 6 years. Now that I've got my first week behind me, I can tell you that I love my job. I love it. The culture there is a perfect fit. The work I'm doing is eerily similar to what I was doing before, but the job itself is ten times better. The location is perfect. Everything about this job is a perfect fit for me. So why is this my dream come true? Because way back in the day, when Jason and I still lived in the city, when we were not even yet married, when Bug was nothing more than a thought in our heads, the dream was for me to work full-time and Jason to be a stay-at-home dad. And finally, after a lot of ups and downs, the dream has finally come true. He is beyond excited to finally be living his dream and I am beyond excited that I can do purposeful work and while I'm there, I'm just imagining all the fun stuff they are doing at home, like swimming, playing, reading books, toddling around. It wasn't easy to get to this place where our dreams have finally come true, though, and it wasn't necessarily always pretty. There were many days of uncertainty, unrest and despair. When you are feeling that way, just know: God has a plan for you. He always does. You may not always see the plan this side of Heaven. You may not even get to see the full plan on the other side. But that doesn't mean God isn't working for you. God is on your side. It doesn't mean you'll always get what you want. 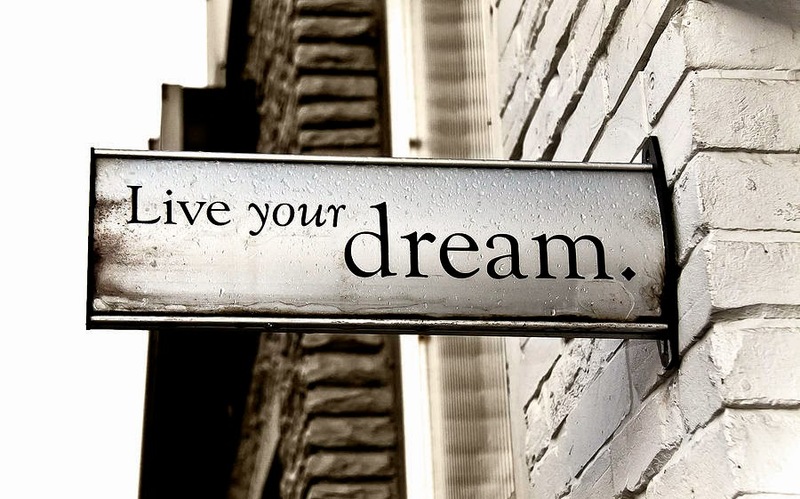 It doesn't mean your dream will come true the way you thought it would (God knows mine did not). God will always give you what you need. His plan, though it may be far different than your own, is always better than the plan you had. My life is better than anything I could have ever imagined for myself. God is that good. He loves us that much. My goal is to spend my life loving Him as much as I can in return and serving Him all the days of my life. I think he more than deserves that, not for everything He's done for me, but for giving me this life. Anything else on top of that is just frosting.